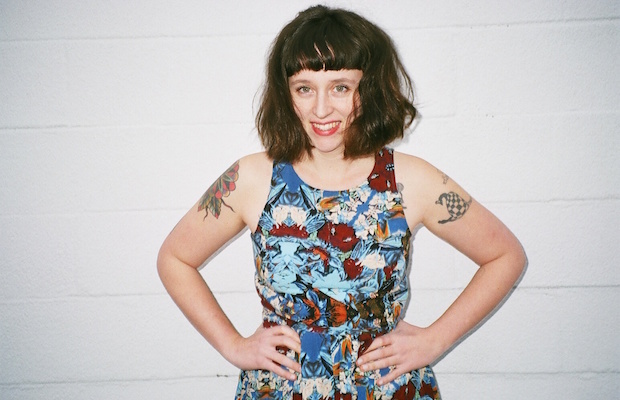 Don’t Miss Waxahatchee & Kevin Morby w/ Mary Lattimore | TONIGHT @ Third Man Records! We’ve been huge fans of Waxahatchee, the musical vehicle of skilled songwriter and Alabama native turned Brooklynite turned Philadelphian Katie Crutchfield, since her lo-fi 2012 debut American Weekend, and delighted in watching her stature rise and sound evolve with 2013’s buzzy Cerulean Salt, as well as her latest, 2015’s Ivy Tripp. With a punk and folk-tinged indie sound, and a penchant for penning personal, soaring songs, Waxatchee is a project that deserves every bit of buzz she’s received over the past several years, and if you haven’t yet seen Crutchfield and her band live (or you have, and you already know how great they are), we can’t think of a more magical place to do so than tonight, March 21 at Third Man Records’ Blue Room. Co-headliner Kevin Morby stepped out solo just a few years ago, after a stint in psych folk group Woods, and in addition to fronting Brooklyn indie group The Babies. Since 2013, he’s released three records under his own name, and, like Waxahatchee, managed to incorporate elements of folk into his indie rock sound. Though Morby’s latest, Singing Saw, dropped last year, he already has a new album on tap for this year. And, cementing this already great bill as a can’t-miss show, opener Mary Lattimore is a classically trained harpist hailing from Philadelphia, who’s collaborated with big names like Thurston Moore and Kurt Vile, and whose solo music meshes her classical training with experimental, indie sensibilities. Really, ANY show hosted by Third Man, and in the Blue Room, is worth checking out, but this is an especially great one, and, astonishingly, some tickets are still available! Waxahatchee, Kevin Morby, and Mary Lattimore will perform tonight, March 21 at Third Man Records. The show is all ages, begins at 7:30 p.m. (doors at 6:30 p.m.), and tickets are available to purchase for $20.